"Sometimes I try to get people to compare plant and animal species with their own body parts. For instance, the buffalo could be a finger, the passenger pigeon another finger, the peregrine falcon another finger; the wrist could be the sockeye salmon. If you relate these body parts to these species, how many would you eliminate before you would say, 'Stop.' You can get along pretty well if you lose a finger, but if you keep doing that, when is it enough? I learned this philosophy from my elders. Even Joseph himself said, "I am of the earth." Well, if you consider yourself of the earth, you won't sacrifice those body parts." Two-hundred thirty-two complete responses were collected. Most people who took the survey are enrolled members of the Nez Perce Tribe (71%), and most work for the Tribe (79%). Survey respondents were mostly women (65%), and highly educated (64% with a college degree). Unfortunately, the survey results cannot be considered representative of the larger tribal community. Most respondents appear to have a basic understanding of climate change and see it as a threat to their own lives and tribal resources. Some respondents see it as an immediate threat to their lives; others believe it will impact them at some point in the future. Most agree that climate is currently impacting traditional foods and practices. 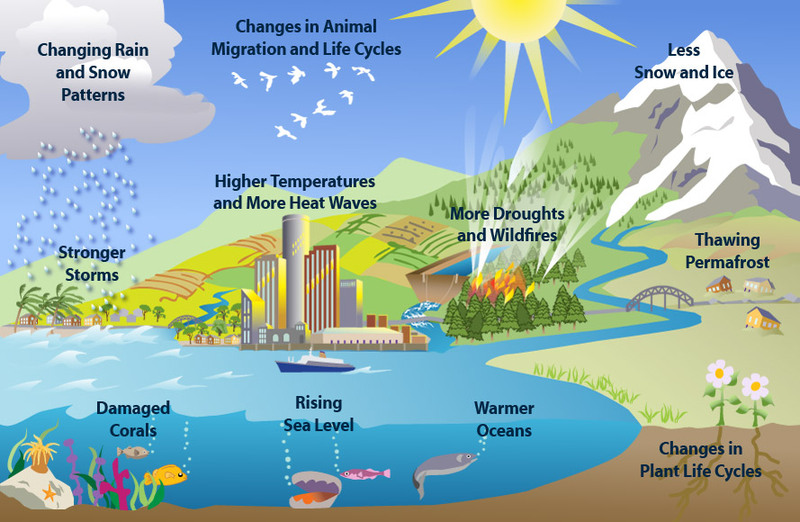 Respondents are generally concerned about climate change and its impacts, especially on water, weather, fish, and other natural resources. Many respondents have observed local environmental change over time and connect much of it to climate change. A large majority of respondents support tribal governmental action in adapting to climate change impacts, especially providing educational opportunities to community members and developing renewable energy resources. Many respondents are also interested in personal action and engagement, especially educational opportunities and workshops. This survey has provided us with valuable information, as well as opportunities for future engagement and participation with community members, guidance for how to focus the vulnerability assessment and adaptation plan, and inspiration for how to incorporate local and traditional knowledge as a fundamental piece of tribal climate change adaptation strategies. To download the full survey report, please click here. Click here for the executive summary. Assist the Tribe in understanding how changing weather and seasonal patterns will impact the daily lives of tribal members. Assist the Tribe’s Natural Resources Programs (Fisheries, Forestry, Water Resources, Wildlife, Air Quality, and Cultural Resources) in planning for a changing climate. Assist in providing information to tribal members about the impacts of shifting weather, water flows, and seasonal patterns, and sustainability practices that can help us manage our impacts on Mother Earth and Father Sky, and the many ecosystems, plants and animals that the Nimiipuu call family. The Tribe produced a smaller climate adaptation plan in 2011 that included Forestry, Water Resources, and related socioeconomic issues. This was a small project funded by the Model Forestry Program. We are now expanding this planning effort to include Fisheries, Wildlife, Cultural Resources, Traditional Knowledge, and Public Health Issues. We are also seeking funding to implement the plan. We know that this process will only be successful with the involvement of the entire community! The Resilience and Adaptation Program has been conducting outreach programs to inform and hear from tribal members, Nez Perce Tribe employees, and the entire reservation community about the potential impacts of extreme weather, shifting seasons, patterns of animal migration, ocean acidification, changing water cycles, and the loss of soil nutrients and farmland fertility due to seasonal and weather changes. We are also working to provide and seek information about practices that promote sustainability and resilience, such as the local food sustainability and sovereignty movement. 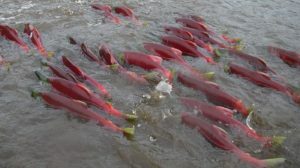 Salmon is one of the best examples of the impacts of climate change on tribal communities in the Columbia River Basin. Salmon is a sacred member of the Nimiipuu family that is severely impacted by changes in the timing, quantity and type of precipitation, the timing of peak flows and stream temperatures, and changes in the acidity of the ocean. 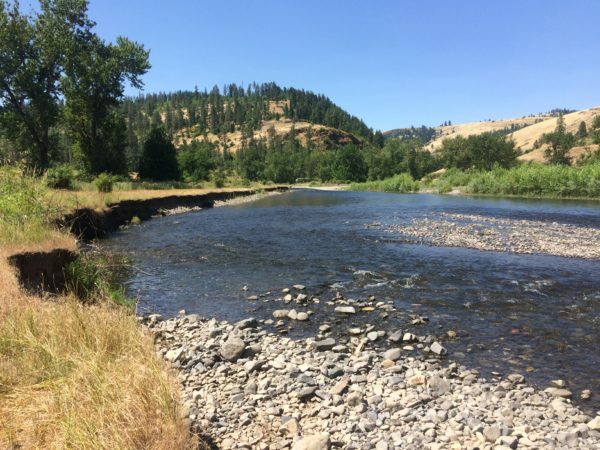 For example, extreme weather events in the summer of 2015 (extreme heat, drought, fires and low river flows) caused a massive fish kill in the Columbia River Basin. With fewer fish returning from the ocean in 2017, the impacts from 2015 continue to be felt. 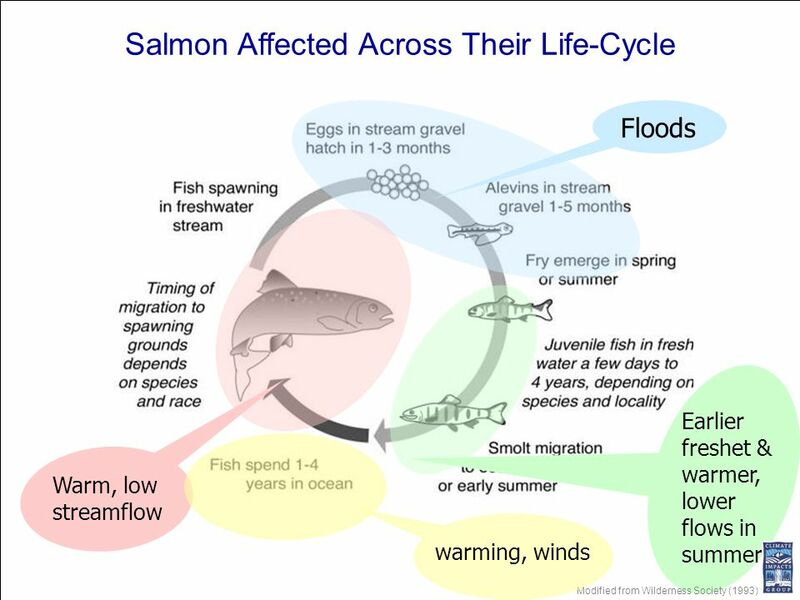 Shifting seasons and water cycles only increase these negative impacts on migratory fish in the Columbia River Basin. The Climate Adaptation Plan will focus on the headwaters of the river basin to the ocean and the entire lifecycle of Salmon and other migratory fish. The Climate Change Task Force is an interdisciplinary group of scientists and planners from the Tribe’s Fisheries and Natural Resources Programs. The task force includes the Department Managers of Fisheries and Natural Resources (Dave Johnson and Aaron Miles); Shane Vatland and John Byrne from Fisheries Research; Ken Clark, Director of Water Resources; Marcie Carter, and Heide McRoberts from the Watershed Division; John DeGroot, Director of Forestry; Mary Williams from Wildlife; Josiah Pinkham and Lucy Samuels from Cultural Resources; John Wheaton from Emergency Management; and Julie Simpson from Air Quality. In December 2016, Stefanie Krantz became the Tribe’s Climate Change Coordinator. 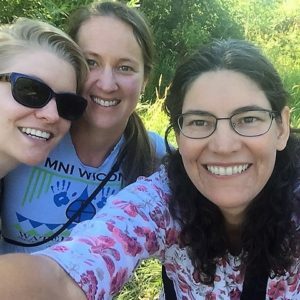 In June of 2017, three part-time Climate Change Specialists: Eric Walsh, Amber Ziegler, and Rebecca (Becky) Witinok-Huber; joined the Climate Change Planning Team to help with the Climate Change Adaptation Planning Process. Eric Walsh is a Ph.D. student at the University of Idaho, studying forest change on cavity nesting birds. He is downscaling data for the Indian Claims Commission Area, and summarizing projected changes. Amber Ziegler, a cultural anthropologist, is working on impacts and adaptation for cultural resources, traditional knowledge about climate change, and public health. Becky Witinok-Huber is also a Ph.D. student at the University of Idaho, studying Climate and Energy in the Columbia River Basin for her dissertation. She is working on water and agriculture impacts and adaptation for the plan. We are thankful to have their valuable input and expertise with this integrative planning process. This planning effort would never have been possible without the generous funding support from the Bureau of Indian Affairs (BIA) Tribal Resilience Program, 638 Program, and Rights Protection Initiative. In addition, we would like to thank the the Great Northern Landscape Conservation Cooperative Network for their support, and the many groups throughout the region collaborating the help people and wildlife. We are grateful to scientists and partners throughout the region including the Columbia River Intertribal Fish Commission, University of Idaho, Washington State University, Climate Impacts Group, the Pacific Northwest Tribal Climate Change Network, the Northwest Climate Science Center, Institute for Tribal Environmental Professionals, the BIA, and other tribes in the region that have supported adaptation and mitigation efforts throughout the Northwest and the entire globe. We are also indebted to the Nimiipuu and the many community members of the Nez Perce Reservation whose input and energy into this planning process will help ensure our communities are resilient, sustainable, and can adapt to a changing climate. The Solutions Project is a great way to get inspired about what is possible.